We want to wish everyone a Merry Christmas and the best for 2019. 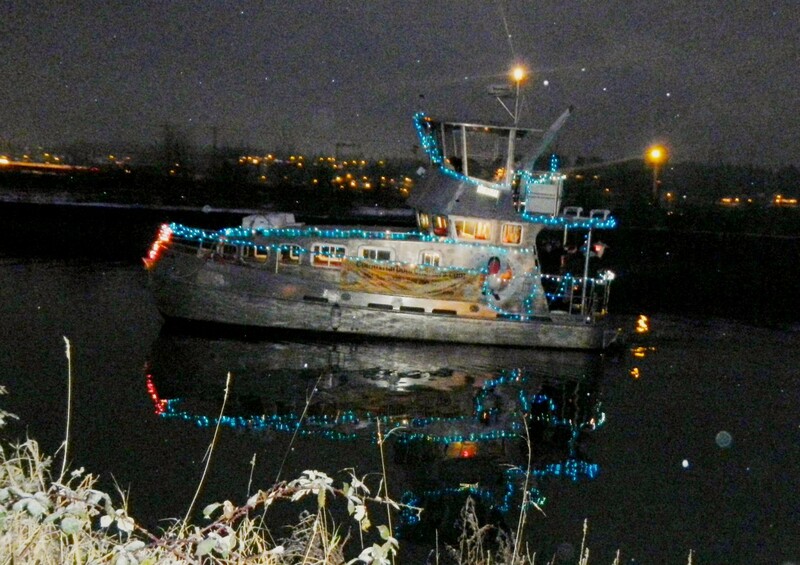 The boat is all dressed up for Christmas and the holiday season. The 7th annual Carol Walk sponsored by Project Watershed happed on Dec 2nd this year. 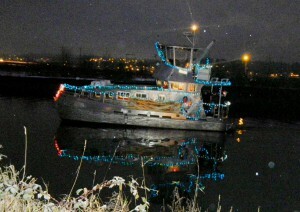 We regret not being able to take part in this wonderful celebration of our estuary and Christmas. The tide was too low for us to get up the river. Here is a link to find out more about this fun event. 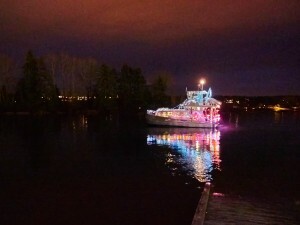 We will be doing some Public Christmas Carolling trips when the weather permits, so keep posted as notice may be short. 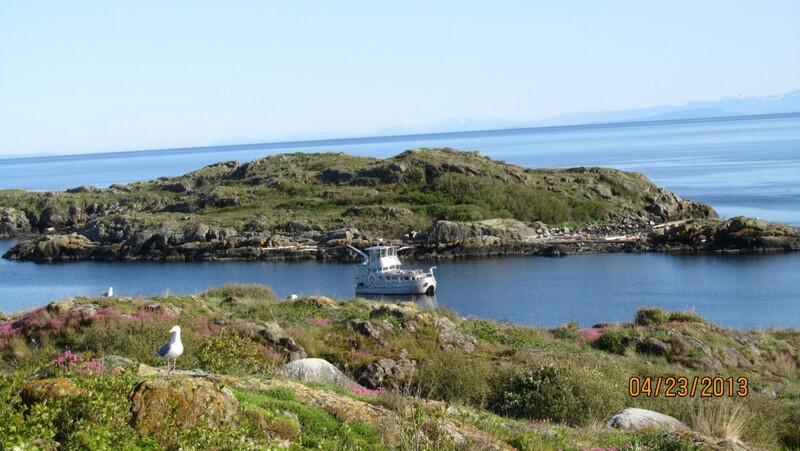 As always the boat is available for private parties of up to 12 people. Our PA system has 4 microphones to really blast out those vocals. 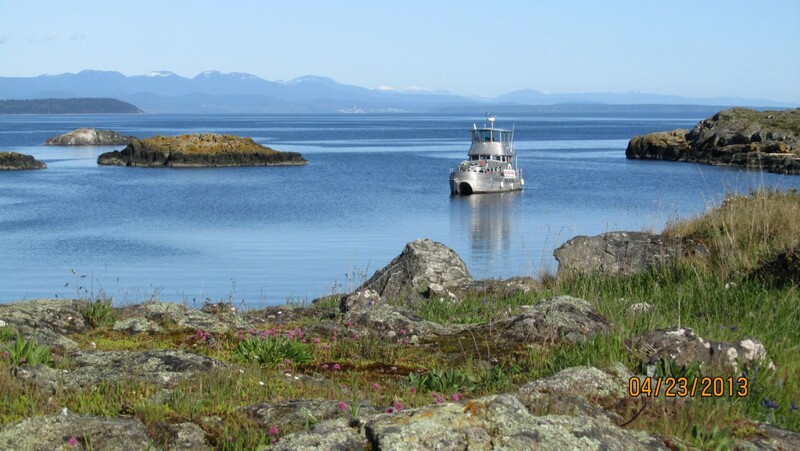 The inside and back deck are heated Late afternoons with high tides is the best time to book parties, so we can cruise the estuary if the weather is not ideal. We have a chef that works with us, if needed. E-mail if you want to discuss all the options available to plan your own private Christmas party or gathering. BOOK YOUR TOUR TODAY !